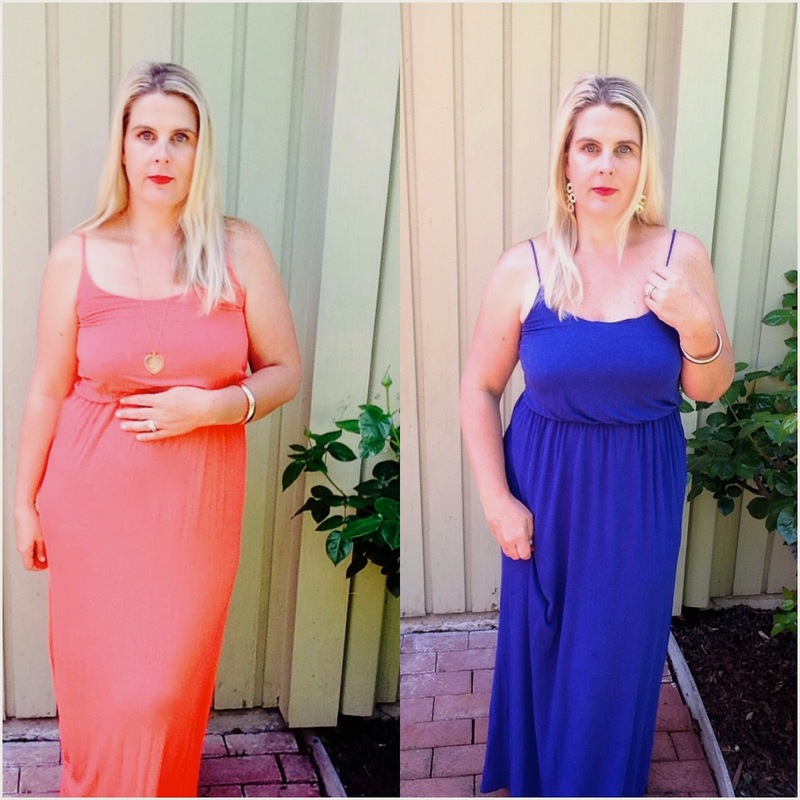 Yummo Mummo | Maxi dress (12 x the) fun! If you have been following my blog, you will know how I LOVE to dive into my wardrobe and bring you inspirations on simple outfits. 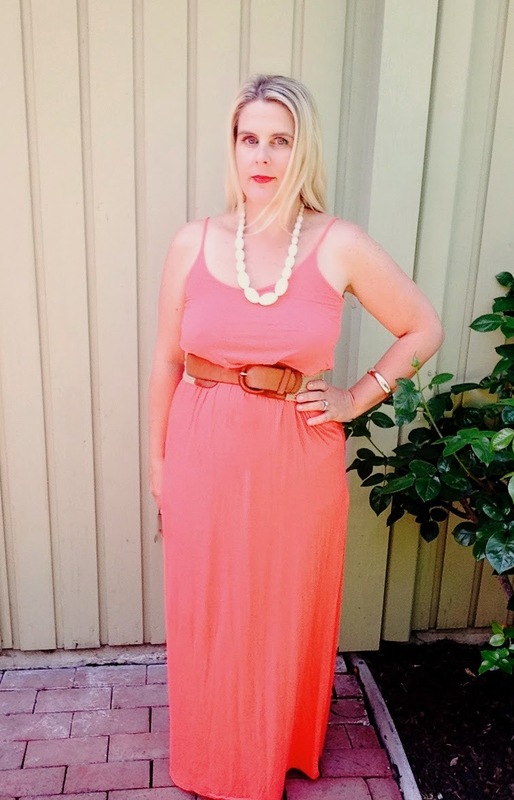 Here I have taken two easy wear and care summer dresses, in two different colors, and shown you how you can accessorize them to create TWELVE outfits. It is ah-mazing how easily you can transform a simple dress by adding some fun accessories. I recently posted about chambray shirt inspirations HERE. 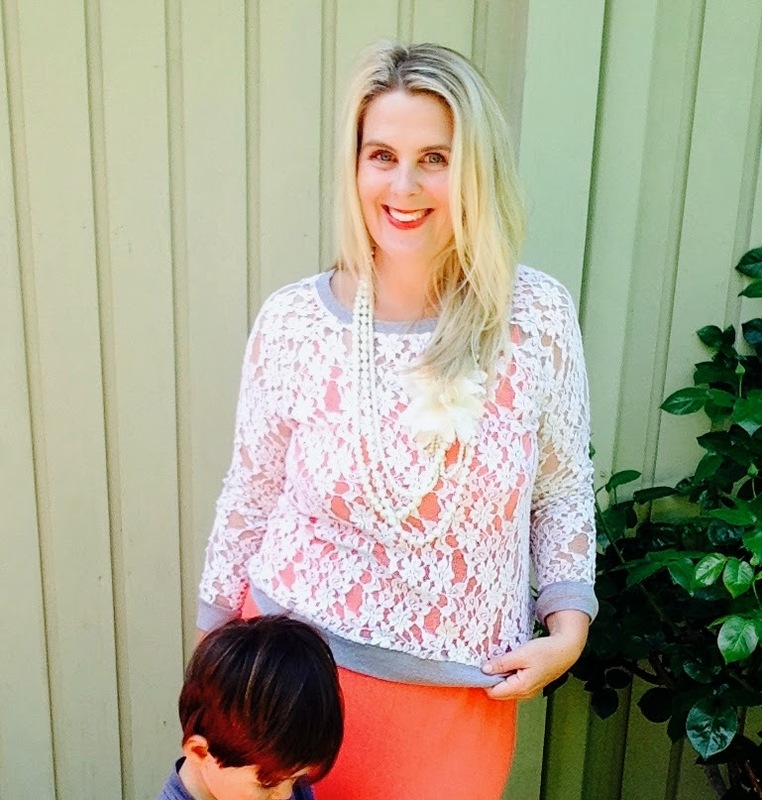 #1 – Denim jacket and string of pearls. 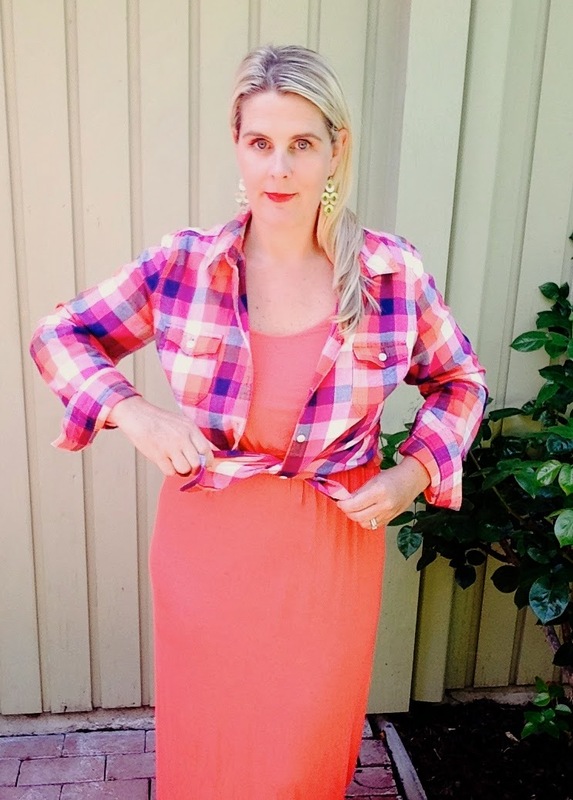 #2 – Plaid shirt and wooden beads. 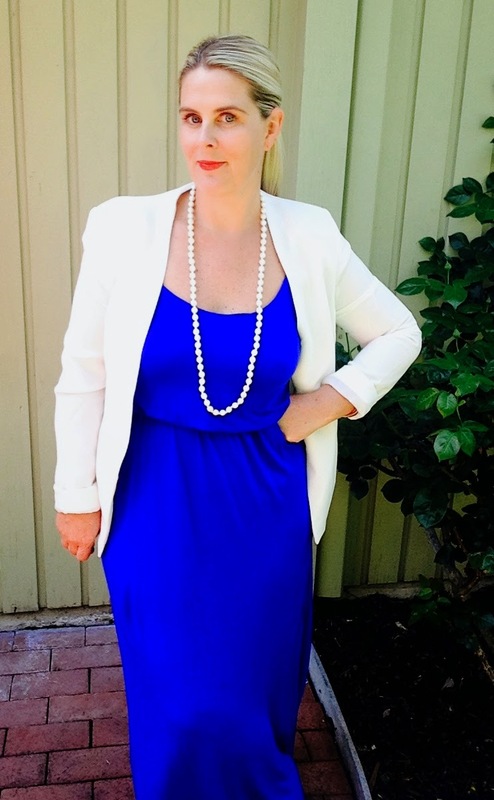 #3 – White jacket, string of pearls and a simple ponytail. 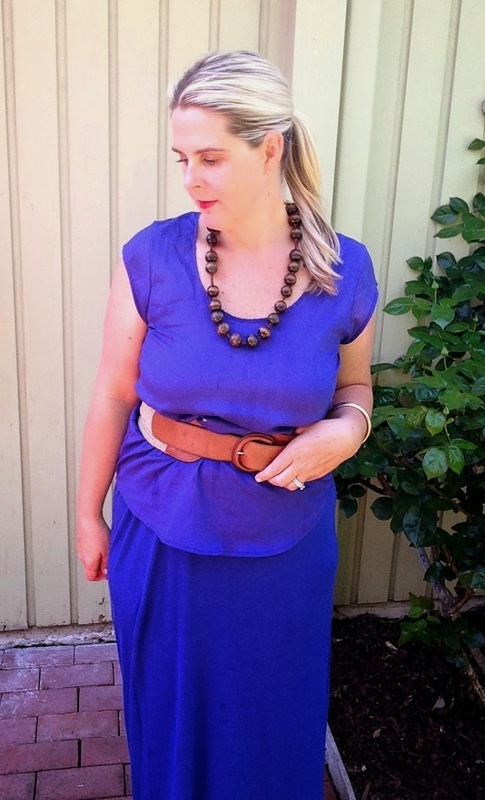 #4 – Blue top, belted and wooden beads. #5 – Chambray shirt and summer fedora. 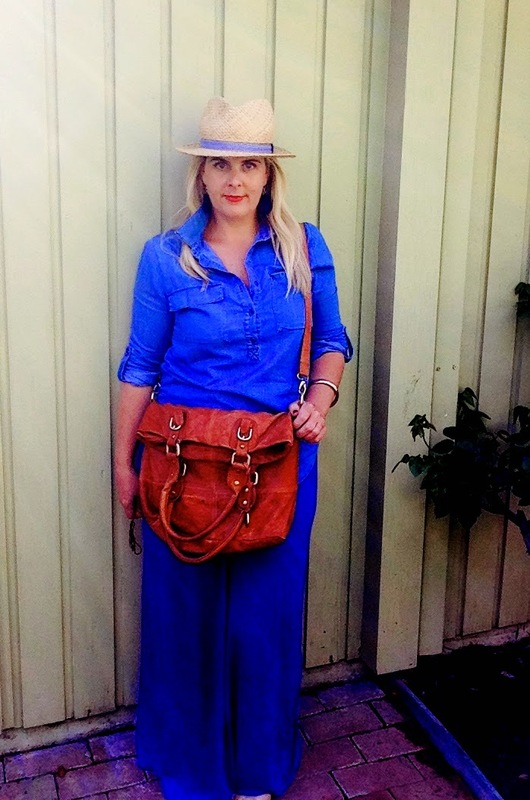 #6 – Belted with a summer fedora. #7- Tied at the waist with a plaid shirt. 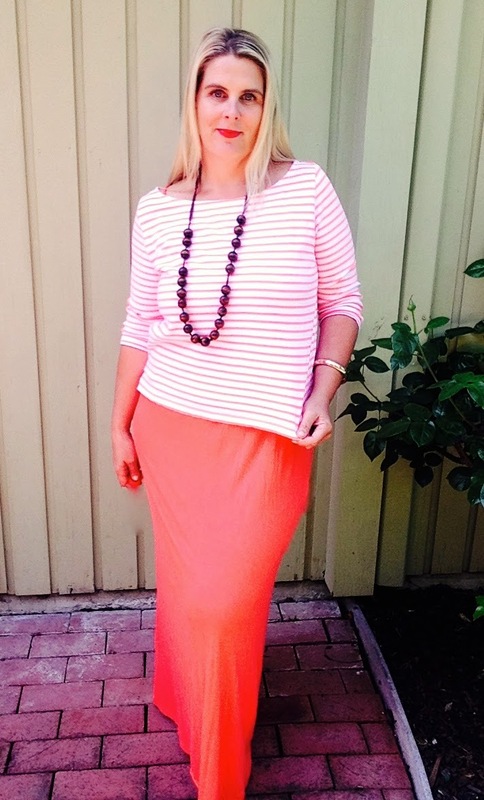 #8- Orange stripe top and brown beads. #9 Lace long sleeve top with stacked flower embellished pearls. Shout out to my incredibly patient photo bomber! 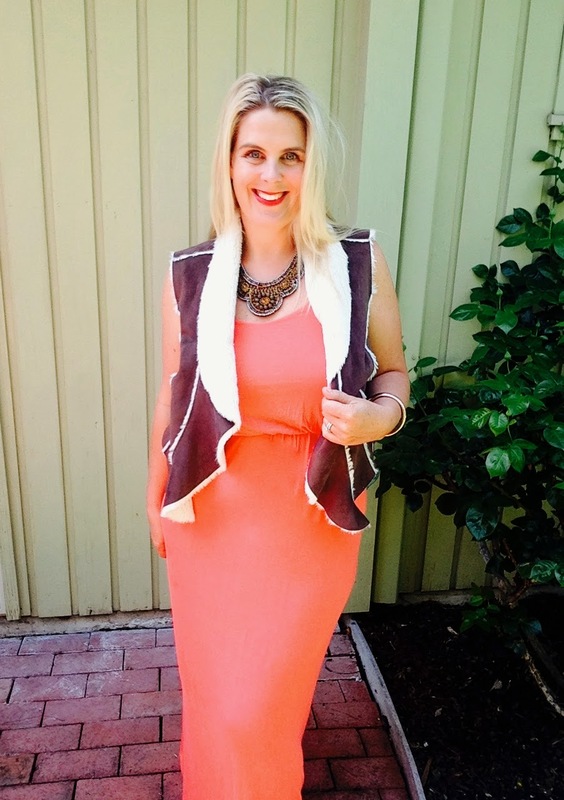 #10 – Sleeveless shearling vest and statement collar necklace. #11 – Sleeveless denim vest, cream beaded necklace and summer fedora. #12 – simply belted with cream beaded statement necklace. I am not a trained photographer, and not trained in how to pose in photos. In being truly authentic, I have used my own clothes and myself in the photos. Enjoy. They're all super cute! I especially like #1 and #3! Thanks for reading Vicki! I think I might have to agree with you on that. Ready for summer now? I love all of these looks, especially 2, 9, and 11! You have such a great sense of style, I could definitely use some advice from you! I love the blue colour, it's gorgeous! The denim jacket is may favourite look! I may just have to try this for myself!